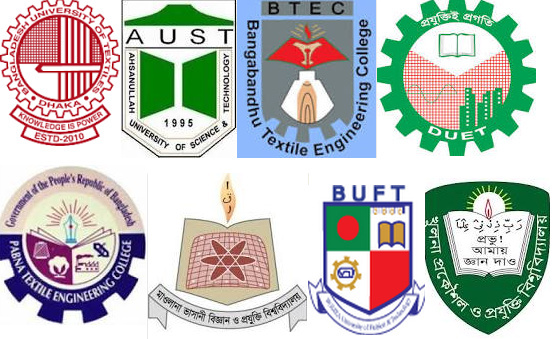 Home » Category "Textile Universities"
We have conducted a survey to draw a conclusion about the ranking of top textile Universities in Bangladesh. Basically, we collect data from those who are active in the social network. 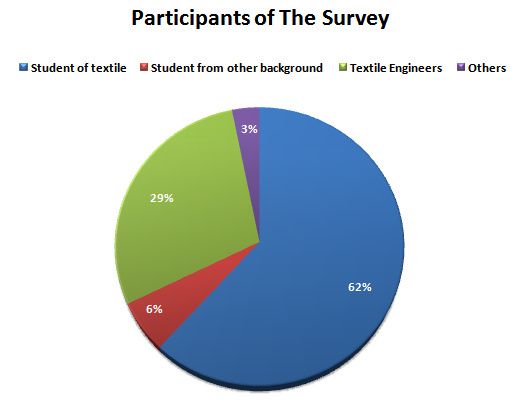 Total of 633 people participate in this survey; most of them are textile engineering students and textile engineers. Out of this 62% of participants are the student of textile, 29% textile engineers, 6% student from other background and 3% from different sectors. We have done this survey for the first time in Bangladesh. Students interested to study in textile are always seeking for the true information about the top textile universities in our country. This article will help you to get information about the top textile universities both private and public universities and institutions. We hope that this report will help you to have some ideas about the true ranking of textile universities. Although this study is conducted through an online survey of 633 people, there is a limitation that only active users of social network participate in this survey. So in some cases, the ranking may not be 100% accurate. From this study, we also found that there are a less number of female students studying textile engineering compared with the male student. 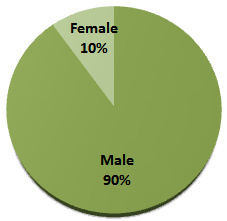 Only 10% of female participated in our survey of top textile universities in Bangladesh. We hope that this article will help you to get the idea about the position of textile universities and institutions. If you like this article then please does not forget to leave your valuable comment and share on facebook so that your friends also can know about the position of textile universities and institutions.